If you're a smoker, you know how it can be a challenge to find the best cigars at a more affordable price. Cigar smoking is like a fine art, and if you do not use the right cigar brands, it can totally ruin the entire experience. This is why it is important to find cigars that are fully flavored and give you an enjoyable experience with every smoking session. 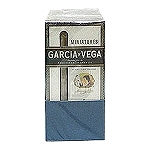 Garcia Y Vega cigars are a good choice for the cigar connoisseur who also appreciates a bargain. They come in different sizes and varieties, from cigarillos to full-size cigars, and in some rich specialty flavors like vanilla cordial and bourbon. 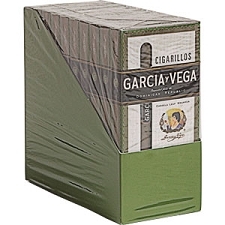 Our selection of this fine cigar brand offers a lot of variety, and buying in bulk allows you to sample and stock up while still getting a great deal on some of the best cigars. A lot of people are choosing to purchase their cigars online as this is a way for them to not only save money, but also get the specific type of brand that they need and want. 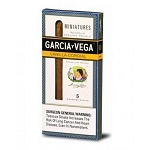 If you would like to purchase your cigars online, you’ve come to the right place. Not every cigar shop online is reputable, but with Pine Cigars you get the quality you crave at a price that works for your budget. 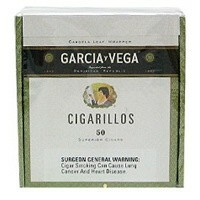 Pine Cigars is a great place to buy Garcia Y Vega cigars online, as well as many other brands. We have incredible prices on all the best brands of cigars as well as cigarillos, and even offer hand-rolled cigars at amazing prices. Shop with us today and find your new favorite cigars!